24 Carat is a cross of Bog's Sour Boggle, turned into an auto over 4 generations of breeding, the current stock is F5 on it's way towards being an IBL. She is a stocky dense plant that makes huge leaves and thick stems, and given a large pot and space loves to bush out. Cycle time is fast, and she can be ripe in the window of 60-70 days from sprout. 24 Carat turns on the frost hard, and makes dense flowers. 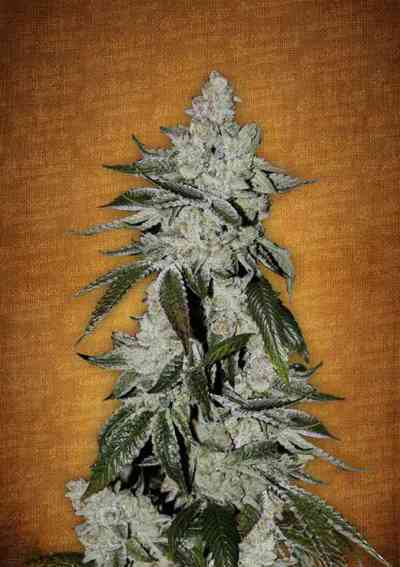 She is also our most medicinal variety with customers reporting sleep inducing and appetite stimulating effects. She's a fine hash plant and makes high grade extractions. Many people fall in love with her at first grow.